'It disgusts me': Outrage after racist letter sent to Asian realtor in B.C. 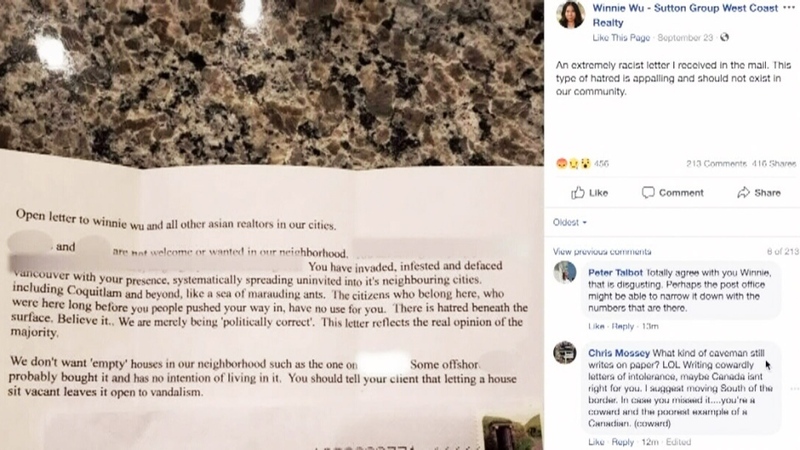 Real estate agents in British Columbia say they’re worried about their safety after an Asian realtor received an extremely racist letter with a vague threat. The “open letter to all Asian realtors” was sent to Winnie Wu’s realty office in Coquitlam, B.C. Wu called the piece of mail “appalling” in a now-deleted Facebook post. Amidst a series of racial slurs, the anonymous writer blames Asians for Metro Vancouver’s housing crisis. The letter also appears to threaten vandalism on homes left unoccupied in the area. "It's scary for realtors,” Phil Moore, president of the Real Estate Board of Greater Vancouver, told CTV Vancouver. “We are just members of the community trying to do our job." Tina Mak has worked in realty for 26 years and says while she has never experienced racism, she knows others who have. Coquitlam Mayor Richard Stewart was quick to denounce the sentiment in the letter. Recently, some realtors in Vancouver have been targeted with racist messages. A bus stop billboard was defaced with racist graffiti and pamphlets have been sent around blaming Chinese immigrants for housing problems in the region. 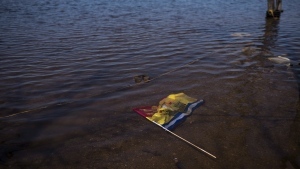 Officers with Coquitlam RCMP are investigating the incident and say charges are possible.